British actress who became best known for her portrayal of Jenny Lee in the BBC One series Call the Midwife . 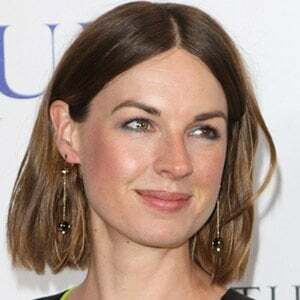 She was a Critics' Choice Television Award nominee for her role in 2013's An Adventure in Space and Time and has been featured in mini-series such as Patrick Melrose and Informer. She had wanted to be an actress from the age of 13. She studied theatre at A-Level and a BTEC in photography at Hereford College of Arts. She then studied drama and cultural studies at the University of the West of England, Bristol, and later attended the Royal Academy of Dramatic Art after her second time applying. She played Isabel of Gloucester in the 2010 blockbuster film Robin Hood. She was raised on her father's farm and is the youngest of two daughters of Allan lloyd and his wife Sue. She married actor Tom Goodman-Hill in September of 2015. She was featured in the Benedict Cumberbatch -starring mini-series Patrick Melrose.